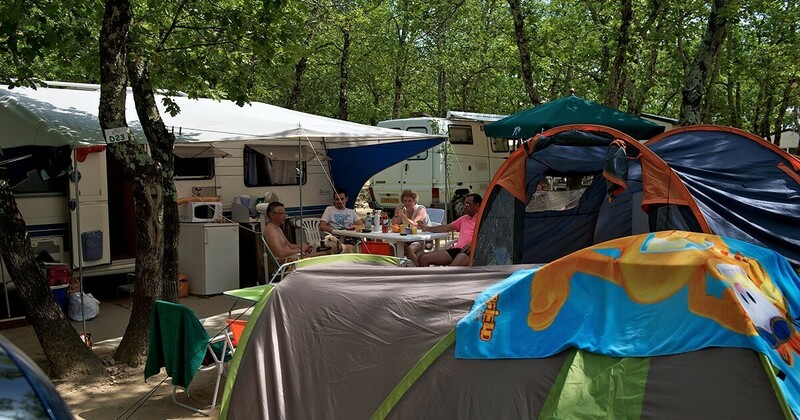 The great lovers of the traditional campsite will find within our campsite in Ardèche, a superb place to install their tent, camper and caravan. 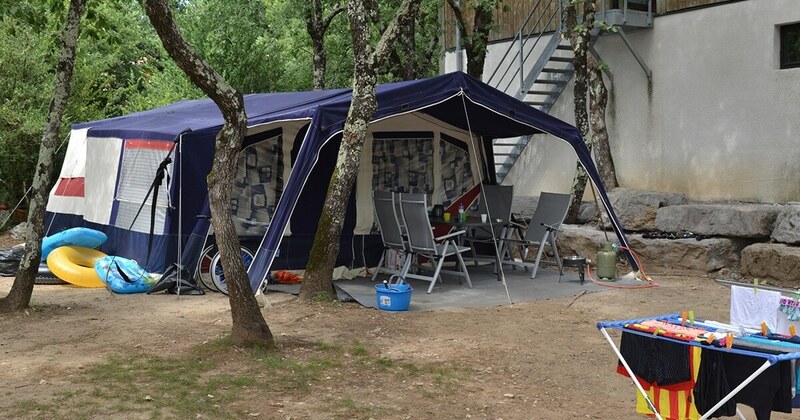 If you are one of those purists who never consider the holiday outdoors without their camping equipment, we offer our bare, spacious and shady locations, dedicated to camping caravans. The area of each parcel is between 90 and 100 m2. 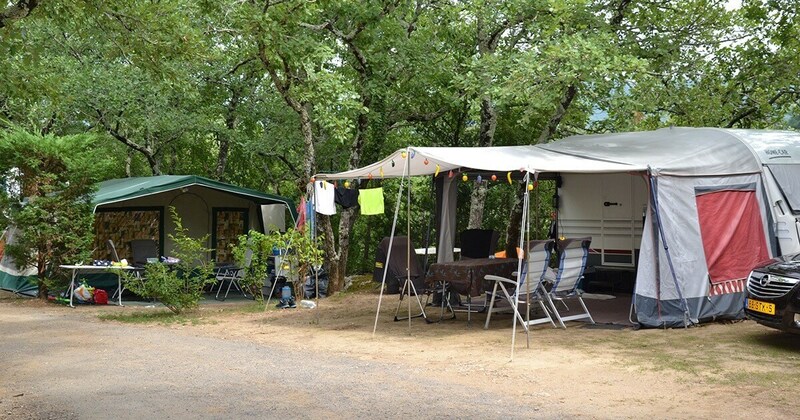 They are all equipped with various comfort elements because even in traditional mode, you need some amenities to enjoy your holiday in the best conditions. 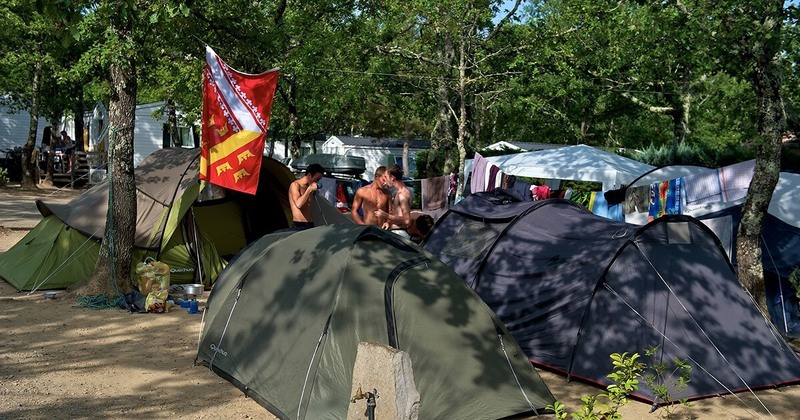 And because you want space, to be close to nature and to get out of the country, we have set up the caravan courts on shady or semi-shady plots, near the banks of the river. 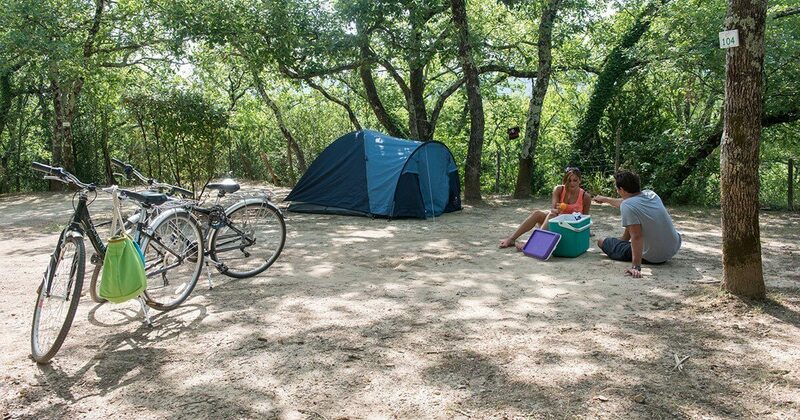 These large places close to nature can accommodate up to 6 people maximum. Each has access to an electrical connection from electric terminals power 10 A with European plug. Remember to get your adapter. Drinking water points are also at your disposal near the sites. 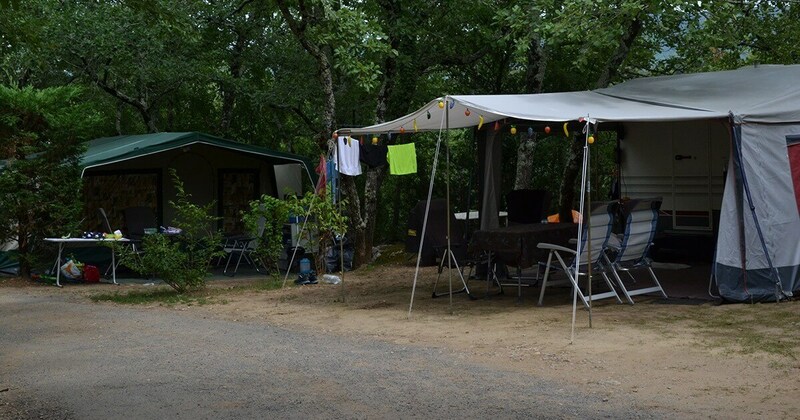 You can enjoy access to our 4 sanitary blocks on our campground. 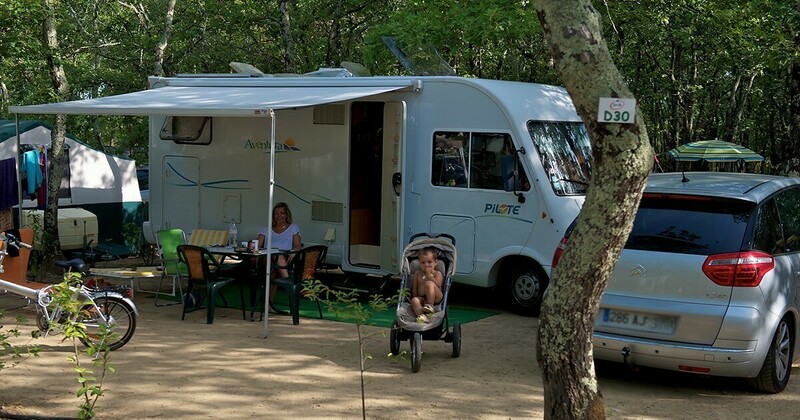 There are baby cabins for campers families travelling with toddlers and PMR booths for people with disabilities. 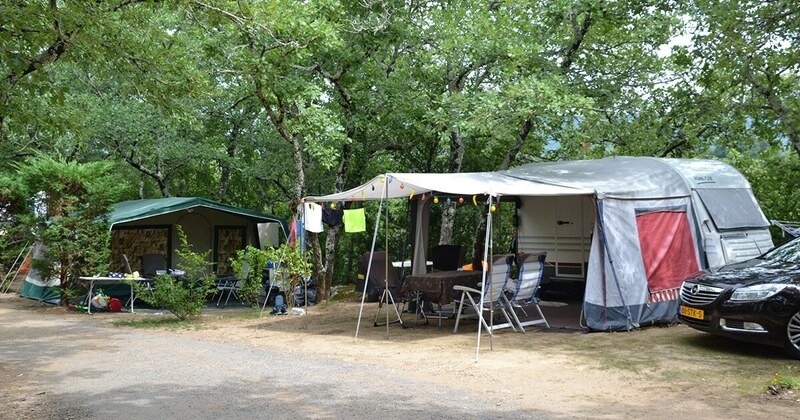 Other services such as washing machines and dryers, group barbecues, WiFi come to decorate your holiday in our establishment. 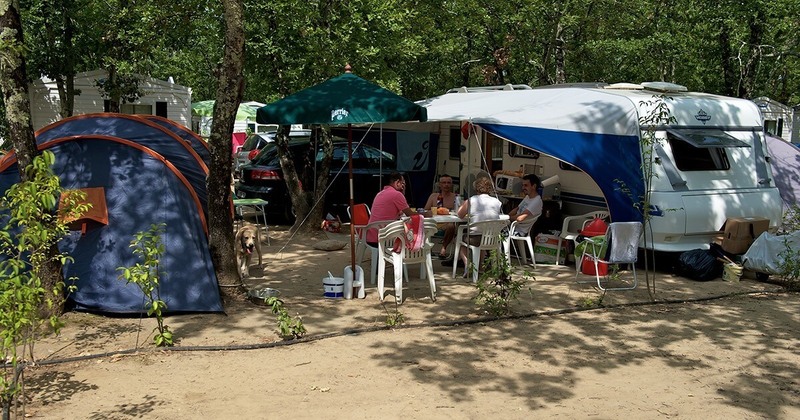 In addition, renting camping sites for tents, caravans or motorhomes in our campsite near Ruoms gives you access to all our facilities including the swimming pool. Our various shops and our restaurant area are also at your service throughout the seasons, from the opening to the closing of our establishment. 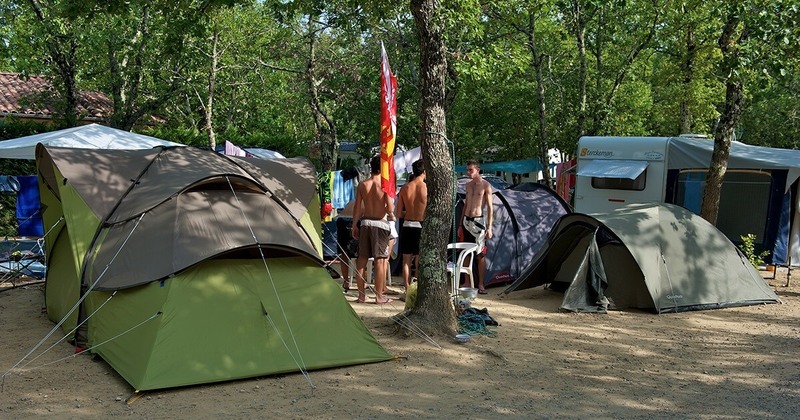 The camping and caravanning pitches range from 90 to 100 m² and have a maximum capacity of 6 people per pitch. We have 10A power electrical terminals with European plugs. Bring an adapter if necessary.